There is no such throne. The majority of the outcry is from the Sikh community at large. The atrocity proclaimed in the above noted blog posts is that a young woman, during a joyous occasion, unbeknownst to her, did something deemed disrespectful to the Sikh faith. 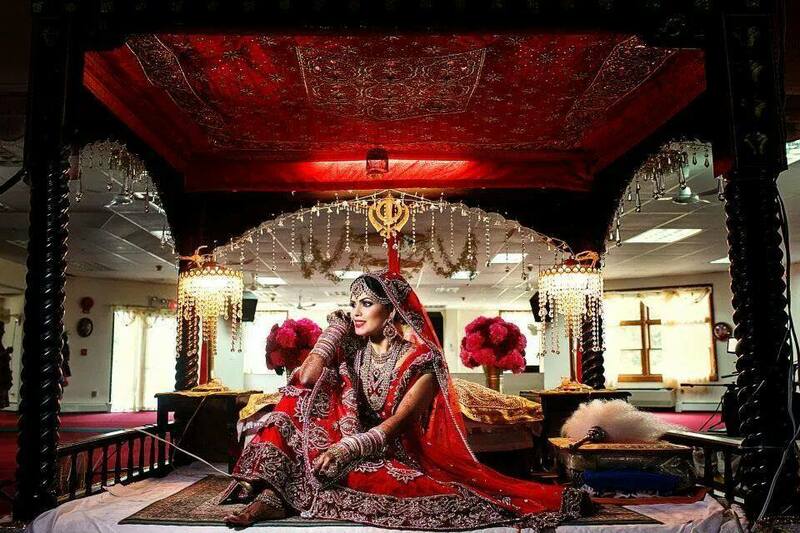 Firstly I write to Sonal Parmar; congratulations to you and your husband on your marriage, I apologize that many members of the Sikh faith and/or members of the Sikh community and diaspora around the world have taken what was nothing more than a mistake as an act of terrorism against Sikhism. Some of the core tenets of Sikhism are equality, acceptance, love, and forgiveness. These tenets have been all but forgotten by the authors of these posts and the hate-mongering commenters. Instead of approaching the bride and photographer with kindness, they attack them with ridicule and presumptions of ignorance and stupidity. Sikhism, built off the foundations of honour, to stand against tyranny and injustice, was not present in the souls of these authors and so-called patrons of the faith.